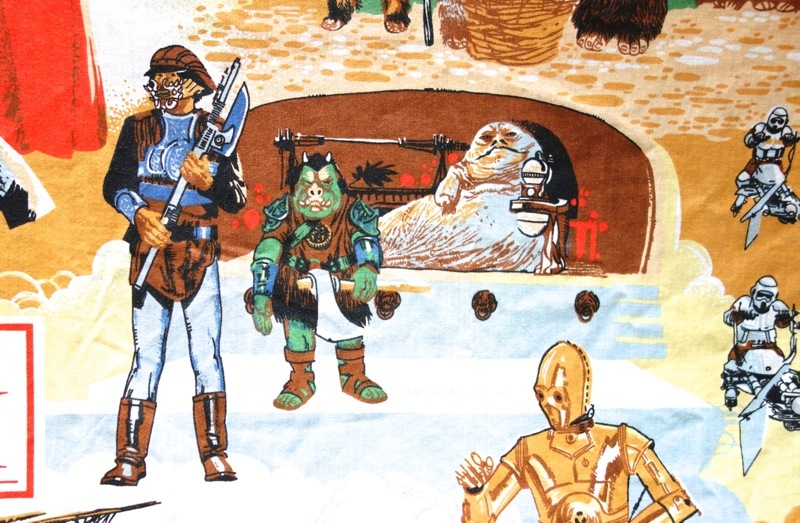 I’ve previously written about the set of Return of the Jedi sheets that the Bibb Company released in 1983, but they actually released two different versions, each with different artwork. This is the other version. Both versions have more or less the same subject matter (Vader and Imperial Guards, Ewoks, Jabba, the sail barge & skiff, and so on) but their styles are rather different. I think I prefer this one, as it’s more colorful. 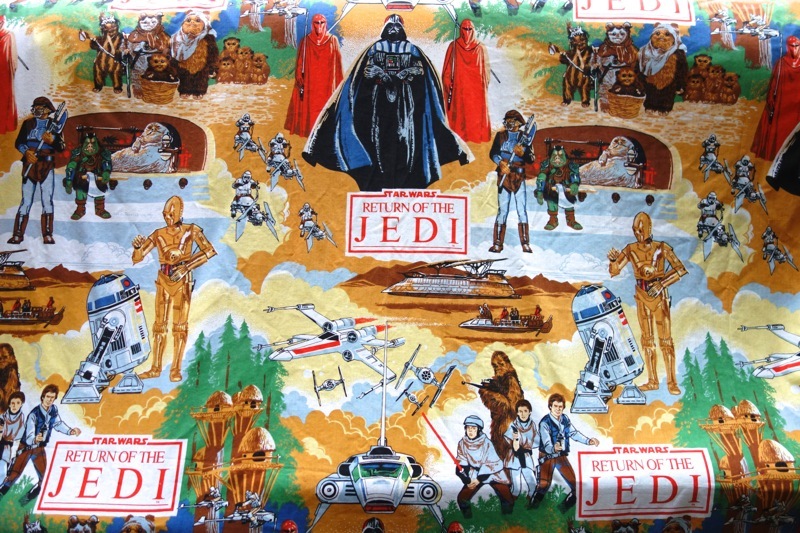 When I saw that Pottery Barn Kids had some new Return of the Jedi-themed sheets, I didn’t make the connection to the vintage Bibb sheets at first. On their website, they don’t show the sheets unfolded, so you can’t get a good look at them. But it turns out that the artwork is almost exactly the same as the original Bibb artwork. The differences are that they’ve changed the color palette to earth tones, replaced the “Return of the Jedi” logo with a “Star Wars” one, and also shrunk the art down somewhat compared to the original sheets. 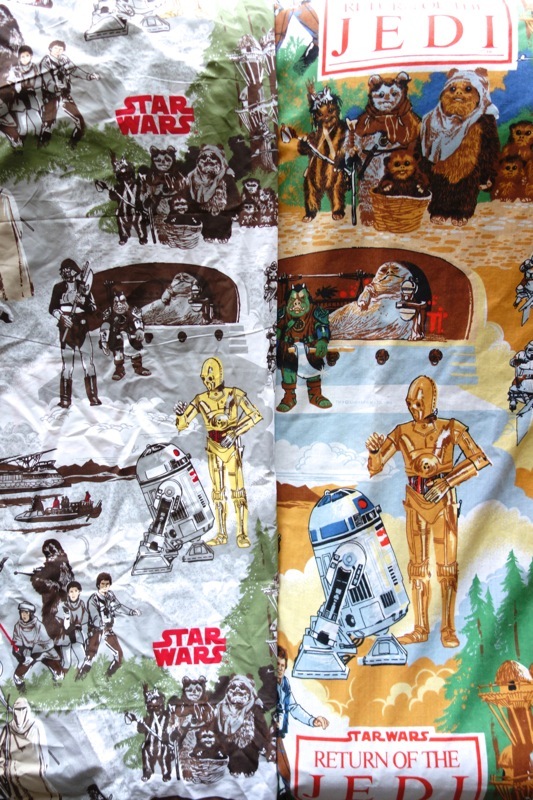 In a way, I was disappointed that they hadn’t come up with new artwork to use, but then again it’s pretty cool that parents can still get sheets with the same artwork that they may have had on their bed as a kid. You can see the differences in size clearly if you put the two versions on top of each other. 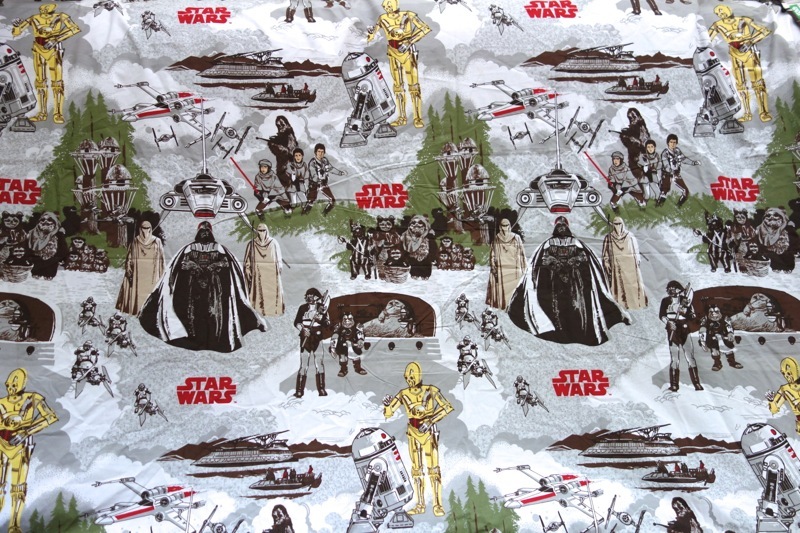 I’m hoping to have my talented sister use some of this fabric in a craft project I have planned, but my original concept was to alternate between the two versions, going from earth tones to full color and back for the same artwork. But since the designs are sized differently, that won’t really work. Still, I’m sure we’ll think of something. 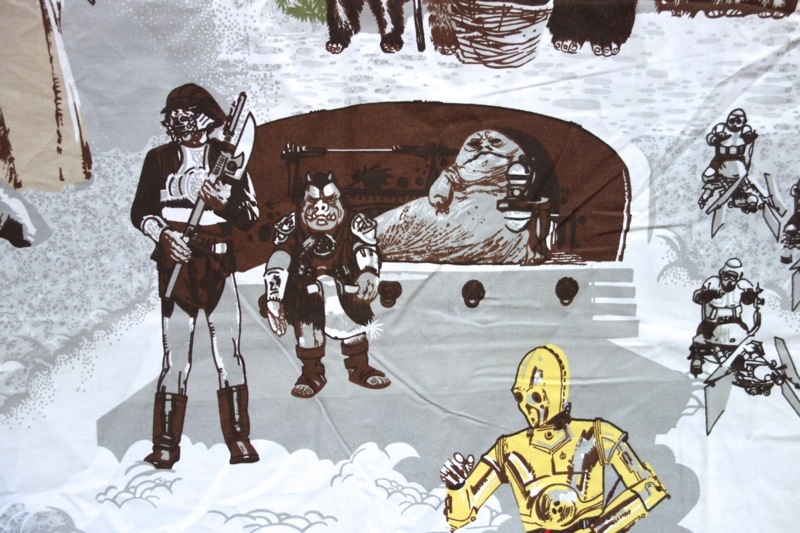 Wow, my son will like this so much, he is a fan of SW.